Uncovering the fascinating true story behind an iconic character's origins--and why nobody likes to talk about them. Everybody knows Mario–Super Mario. And how: an oft-cited 1991 poll found that more American children recognized Nintendo’s cheerful mascot than they did Mickey Mouse. Almost two decades later, the famous cartoon plumber, forever clad in blue overalls, regularly stars in blockbuster games for the Wii and DS. Regarding Mario’s origins, it’s common knowledge among game fans that legendary game designer Shigeru Miyamoto created him for 1981’s Donkey Kong arcade game. But few know that Nintendo borrowed Mario’s name and Italian heritage from a real man. That man’s name is Mario Segale, and he’s not a plumber. He’s a wealthy real estate developer in Tukwila, Washington. Segale unwittingly stepped into video game history by renting out a warehouse that served as Nintendo’s U.S. headquarters in the early 1980s. 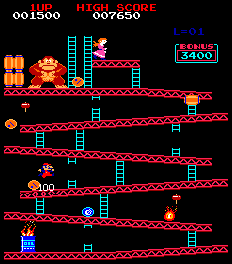 At that time, a financially struggling Nintendo of America (NOA) was preparing the U.S. launch of Donkey Kong. Legend has it that NOA President Minoru Arakawa noticed physical similarities between Donkey Kong’s short, dark-haired protagonist and the landlord. So the crew at NOA nicknamed the character Mario, and it stuck. Knowing the story above, it’s natural for video game enthusiasts to be curious about Segale. Does he look anything like Nintendo’s famous mascot? How does he feel about inspiring key traits of a cartoon video game character? We’ve been largely unable to answer those questions. Segale himself is hard to reach. Partly because of his association with Nintendo’s character–which friends and colleagues say he doesn’t appreciate–Segale stays quiet. Very quiet. His profile is so low, in fact, that you are about to see the first picture of him ever published on the Internet. I’ve attempted to make contact with Segale a few times over the years, but all my queries have remained unanswered. In the course of researching the man, I’ve instead come in contact with a few associates of Segale who are willing to discuss Segale on condition of anonymity. Revealing their names might jeopardize their relationships with Segale, and I’m not keen to do that. The stakes are too low to be ruining lives over a tangential figure in video game history. I’ve checked with people who personally know Segale, and they confirmed that the young man seen in the picture above is indeed the same Mario Segale that lent his name to Nintendo’s mascot. Assuming he was 18 years old in 1952, that would put Segale at about 76 today. A recent Seattle Times article cites Segale’s age as 75, so that, in combination with the school’s location and personal testimony, confirm this is who we think it is. Over the past four years, I’ve learned some tidbits from friends and associates of Mario Segale. Nothing too deep–just little things here or there that form an interesting picture of the man. First of all, Segale is an avid duck hunter who rarely misses a season. No joke. Memories of the Super Mario Bros./Duck Hunt cartridge might be floating through your head right now, and I don’t blame you: it’s a very entertaining coincidence. Mario is, as you know, very private, also very Italian. He values loyalty, respect and trust. Mario has a close knit family circle. From my understanding, Mario wants nothing to do with being related to the “Super Mario” character in fear it might interfere with his business, financial, political and private relationships…Obviously from his standpoint it wouldn’t benefit him and could possibly publicize him. In some respects, the author is correct about Segale’s concerns: his relationship to Nintendo’s character does publicize him. After all, Exhibit A is the article you’re reading now. But I’ve not felt too bad probing lightly into Segale’s character: he gets significantly more scrutiny as a developer in the Seattle Times, which has been covering his adventures in real estate for decades. In fact, the Times recently examined the serious side of Segale more closely in an article that overviews his current development projects in the Tukwila area. Chief among them is “Tukwila South,” a 500 acre expanse of commercial land Segale has been buying up for decades and is now preparing to turn into an enormous office park. The article goes into Segale’s business and political background far more than a video game journalist would typically care to explore (including a list of all the gravel pits he owns–seriously), further reinforcing my point. Mario values his privacy over money, which is why he hasn’t accepted any for being “Mario.” He’s just a normal, wealthy (self-made), semi-grumpy old man. 🙂 But we thought we’d let you know that he is really not particularly fascinating! You would probably be disappointed if you ever saw him. He doesn’t even wear coveralls! But he is not too tall and he does wear suspenders. Suspenders? I’m beginning to see how Arakawa might think he resembled Miyamoto’s video game character if they were a regular part of Segale’s wardrobe. But this description left me wondering: does Segale ever wear a mustache? To find out, I checked with one of my contacts. According to him, Segale did not wear a mustache from the late 1980s to the mid-1990s. He’s unsure of Segale’s ‘stache status before or after that. As far as I know, Segale has not spoken on record to any member of the media on any topic since that time. Great story – so does this guy get residuals for using his likeness? Although you state that Super Mario was probably not the name initially thought of by the staff at NOA, I think it is very plausible. “Super” is a common term for building superintendent. “Super” Mario, now it all makes sense, along with Marios love of coins. BTW: Does anyone know how Luigi got his name? There was an Italian restaurant near the Nintendo of America headquarters named "Mario & Luigi's," and Luigi was named after that pairing of names in the restaurant title. Ohhhh, any good age progression artists out there?!? Ironic that the landlord’s last name was “Sega”le. "Phil"–As Benj's story notes, Mr. Segale's role in this story has been on the public record for decades–it's been reported in books, in The Seattle Times, on countless gaming sites. It's in Wikipedia. Nintendo personnel have talked about it (albeit without using his last name). And because of his impressive success in his profession, he's a public figure. Mr, Segale sounds like an admirable guy, but the genie can't be put back in the bottle, and I don't think we're required not to write about a figure in history (yes, even video game history) because he prefers to keep a low profile. Actually, Nintendo has never openly talked about the origin of Mario's name. It's never been confirmed by Nintendo or the Segale family. It's probably not even true, and that's why he wants to be left alone. That hardly sounds like a legitimate source of information. Every other source that has ever sited this rumor as being true uses that book as a reference. I honestly believe that this isn't true, but Nintendo just likes having that fun origin story behind the name, so they don't correct people. The real truth will probably be lost to because of this rumor. Great. He wanted not to be associated with Nintendo’s mascot, and now *everybody* will know about him, what he does, and where he lives. You ruined his business and his life now. Way to do responsible journalism. That's what I was thinking this whole article. Yeah, *everybody* is gonna read this article. Relax, this story has been known for at least 20 years, I remember reading about it in the old official scandinavian Nintendo magazine and many times since. Unhappy commenters: You have the right to your opinions. I will point out, however, that there are thousands of examples of this story being discussed on the Web–often inaccurately–and by attempting to get it right, Benj was primarily analyzing known facts, some published by media outlets a lot bigger than Technologizer. It’s not a new story, but rather an attempt to take an accurate and non-sensationalistic look at an old one–one that involves a gentleman who’s something of a public figure even beyond this story. 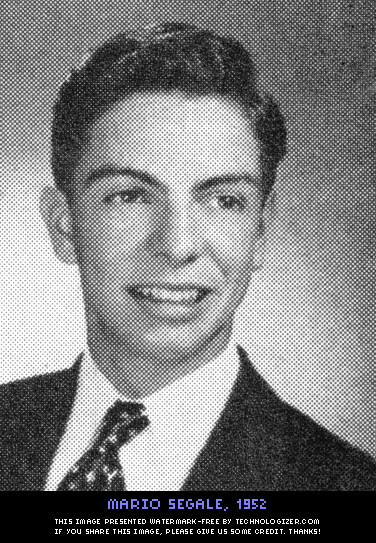 Mr. Segale is really Thomas Pynchon, right? The reason the character Mario has a moustache, is that it is much easier to draw a moustache in the limited amount of pixels they had available, than it would be to draw both a mouth and a nose. That really is all there is to it originally. I think that this “Jumpman” with overalls and a moustache somehow looked Italian to the NoA guys, and with the “real Mario” around as their landlord, they just took the logical step of applying an Italian name to an Italian-resembling character. This is real bottom-of-the-barrel journalism. This poor guy is doing his best to stay out of the spotlight (and you even acknowledge this in the article!) yet you persist in dragging out every last bit of detail you can scrape up on him. If this man doesn’t want to be known for this, why do you persist in harassing him? To drive hits to your website? For shame. Why so much whining? It’s not like the IRL Mario is going to be hassled much over this. I’m sure there’s thousands of people driving to his house to ask if he had a mustache 30 years ago. You’ve ruined his life and business? Man, I bet he’s asked about this in person after this World Famous Article has been published less than once. Ok, so please settle a long time argument for me. How does Mario Segale pronounce his name? Myself and the rest of New York say Marry-o, while the rest of the counrty/world says Mar-eo. Only argument I have is that I know Itlians named Mario and they say Marry-o…and Mario Lemuiex…thats it. Western New York says Mahr eo. He pronounces his name Mar-eo. It doesn't matter how Segale pronounces his name. In the games, Mario says, "It's-a me, Mar-eo!" Mar-eo is the proper pronounciation for the character. The origins of Mario are simple: undisclosed. The more we know about Mario the less we will care about him. With no mystery comes little interest. It would be remarkably stupid to reveal "secrets" of Marios histroy because then articles like this would not exist, speculation and gossip would not flourish and the popularity of the awesome gaming icon would fade. @Harry: Writing about people who do not wish to be written about is a bit rude. We all need to respect the wishes and choices of others, within reason, and personal privacy is a human right. Documentation of fact and open discussion is one thing, but digging up information and publishing irrelevancies (not that I am saying this has been done here) is quite another. great inquries. here is powerfull blog. This good comment : The origins of Mario are simple: undisclosed. The more we know about Mario the less we will care about him. With no mystery comes little interest. Uzun süre Aeg ve electrolux yetkili servisi olarak hizmet veren ve Aeg servisi hizmeti veren bu firma uzun zaman sonra Electrolux servisi ile birleşerek size bu hizmeti sunmaktadır. He’s 76 years old and incredibly rich, FFS, his life is not about to be “ruined” because someone talked about him on a website. Get a grip, people. It’s an interesting article, read it, enjoy it, and move on. All artists need inspiration, and the real mario provided it! Great article thanks for the LoL. I heard Luigi got his name from the Japanese kanji 類似（るいじ）　meaning likeness; resemblance, similarity of another; in this case would be Mario. Nintendo of America did in fact publish an article stating that the company named the Mario character after the landlord of the Nintendo of America headquarters. As a kid in the late 1980s and early 1990s, I had a subscription to the Nintendo Power magazine, which was where the article was published. Sadly, I recycled all those magazines probably 15 years ago, but I’m sure there are people out there who still have the particular issue where the Mario-origin story was published. i used to do DIY plumbing at home at my work seems to be on par with regular plumbers.-*. Oh my God. This is really amazing then.. Thanks much for sharing this. Agree with what you say. The more friends, usually there, we just add them to friends, without continued with a wonderful social relations. Recently, we've noticed an increasing demand for a new product that does not get enough attention at the moment. We decided to offer this new service – and to do it better, easier and cheaper than anyone else. I played mario uncounted times but never know the real story behind it… Excellent reads. I still don't believe that this is true. This rumor was started by one guy, who wrote a book in the early 90s with absolutely no evidence to confirm it. Mario Segale has never confirmed this rumor, neither has Nintendo. I just can't bring myself to think this is true. When I was a child, I used to play Super Mario with my brother. It was really fun playing with him. Now this explains a lot about Mario. I did not know any of these. This is so incredible. Well, I love Mario forever. Hi, I myself have a number of photos of Mario, some of which show us together, but like (all, apparently) of his friends and family, I am inclined to keep them to myself. But I really stopped to first verify the story of the rented office space to Nintendo, and that they needed a name for their character and, thinking “Mario” was a standard American name, they just used his name. My direct understanding and perception is that Mario Segale doesn’t mind at all the fact that his name inspired such an iconic character, and that he shows humble pride in that fact in front of his grandchildren and close-knit adult circles. As the association DID happen by pure accident, Mario Segale can’t take a whole lot of actual ‘credit’ for his random-ish association, and I think he might be more ‘involved’ in the whole thing IF, somehow, he himself had helped to create this long-time association. Mario does amuse lots of people with the story of his namesake, but I’ve never seen him (stand as tall as I would WANT Mario Segale to stand, as a direct result OF such random association). Despite how he is portrayed in absentia, by the media, Mario Segale is a kind and likable man who is most generous and appropriate toward various worker-bees in the world which surrounds him, and I’ve witnessed that many, many times over. Mario S. does indeed enjoy duck hunting and he usually has an open ear toward sincere individuals or groups who might need his assistance in selfless charitable matters. I have spent plenty of time with Mario Segale over the years and have always been proud to call him my friend. Though I must say that I myself would love a photo of Mario Segale standing beside, perhaps, an adult-sized cardboard cutout of his character namesake. Finally, let me just say that his date of birth happened in… the… first half of 1934. And as it is presently (newly) the 2nd half of 2014, well, you can probably do the math. I hope that Mario Segale might one day read this and consent to leave the world with a nice photo (or five-hundred-and-seventy of same) of the cartoon Mario beside his own photographed image. For the time being, at least, I’m honoring Mario’s (rather amazing) success at having so few photographs of his own likeness on the internet.